n. 1 a: A non-woven, leather-like textile derived from the fibers of the pineapple leaf, which is typically discarded after the fruit is harvested. b: Prepared using a process that creates biomass as a byproduct. b: Breathable, pliable, and easily dyed for applications in the fashion, accessory, and upholstery markets. d: Available in different thicknesses and finishes, all biodegradable. 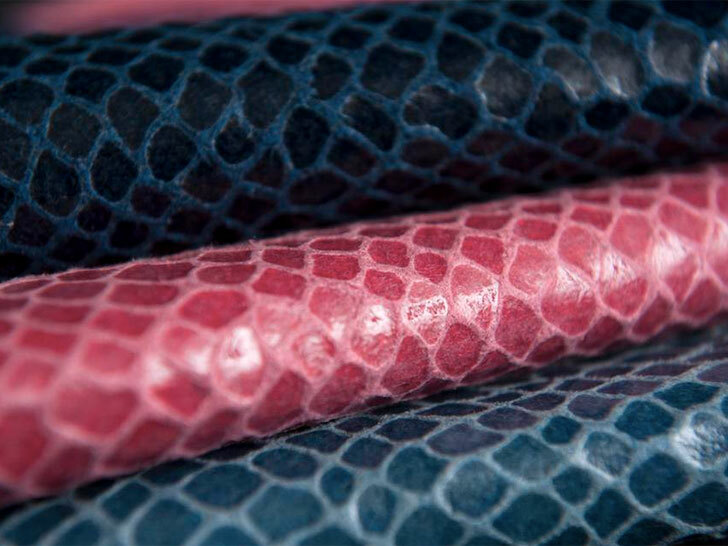 2: Developed in the Philippines by Ananas Anam, a London- and Barcelona-based company founded by Royal College of Art graduate Carmen Hijosa, who has significant experience in the leather industry. 3: The focus of a recent Royal College of Art presentation that showcased sample products by Camper, Puma, and designer Ally Capellino. 4: Not to be confused with piña, a silky yarn also obtained from pineapple leaves. I'd be interested in having my new car seats done with Pinatex if this is a viable alternative to cow leather. Can you post some pictures (beyond the white car seat) of what you have done re car seats? How long will Pinatex last? Can it take very hot weather? Will it absorb heat? More information is needed. Any company doing it for car seats in Asia? Thanks. Looking to buy shoes for sure. They look comfy soft.